A hero image is a very important feature of a responsive website. 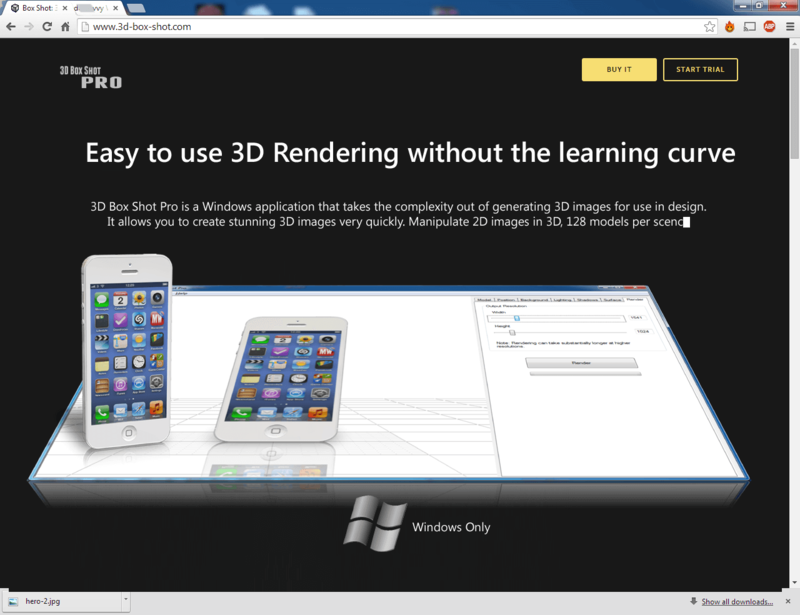 Find out how 3D Box Shot Pro can help you make them. The importance of hero images and responsive web design. There is a growing trend in responsive web design at the moment. Responsive web design is a survival requirement for any web based business these days. Google now penalise websites than are not responsive. So what is responsive anyway? A responsive site renders well on any device that can display it. That means mobile devices, tablets, phablets, PC and MAC, Smart TV’s and any of the other million and one devices capable of displaying a web page. If your website isn’t responsive then it will perform less well in the search results. This effectively means that you need a responsive website to remain competitive. The above the fold front page features about 35 words of text and a massive perspective screenshot, which scales seamlessly on all sorts of devices. This image is known in design circles as a “Hero Image” (https://en.wikipedia.org/wiki/Hero_image) . The Hero Image succinctly explains what the product is and does in a very visual way. It’s a very good landing page with a clear set of call to action “Buy It” and “Start Trial” buttons. 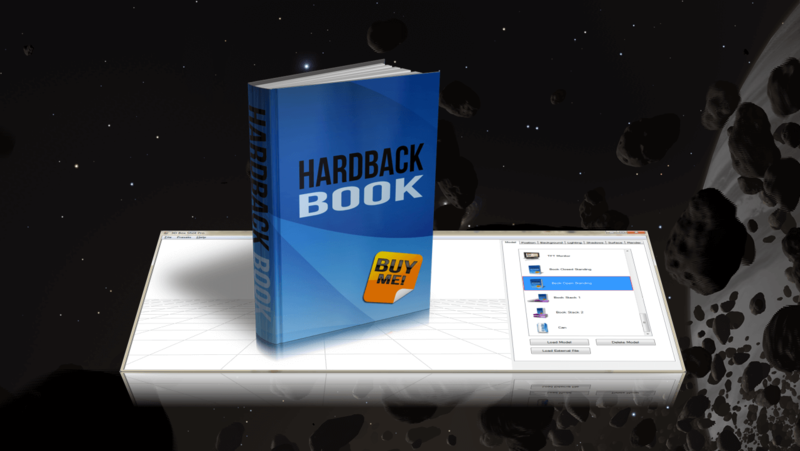 Significantly, the Buy It button is highlighted by default (presumably this converts better). 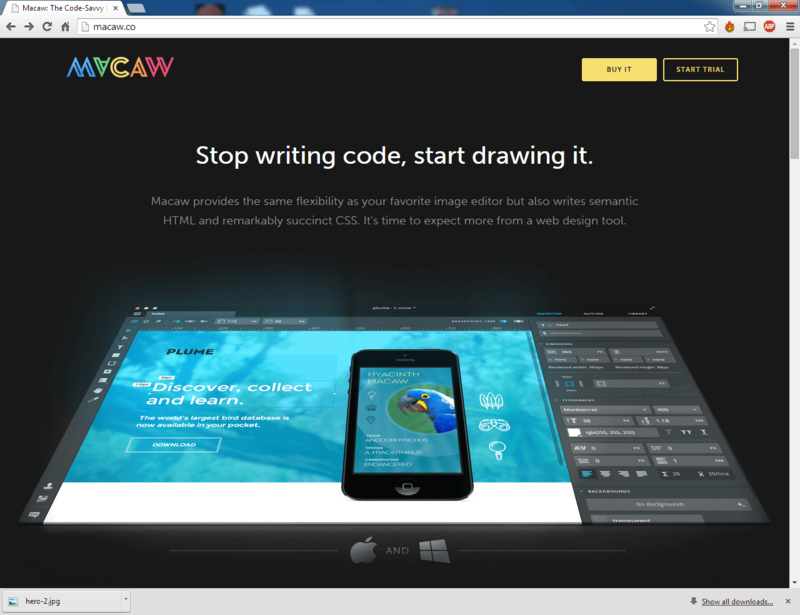 It also clearly indicates that Macaw works on Windows and Mac. This helps to create a far more eye catching image. Using this design technique, it would of course be possible to create a compelling “Hero Image” for any sort of software application or digital download. 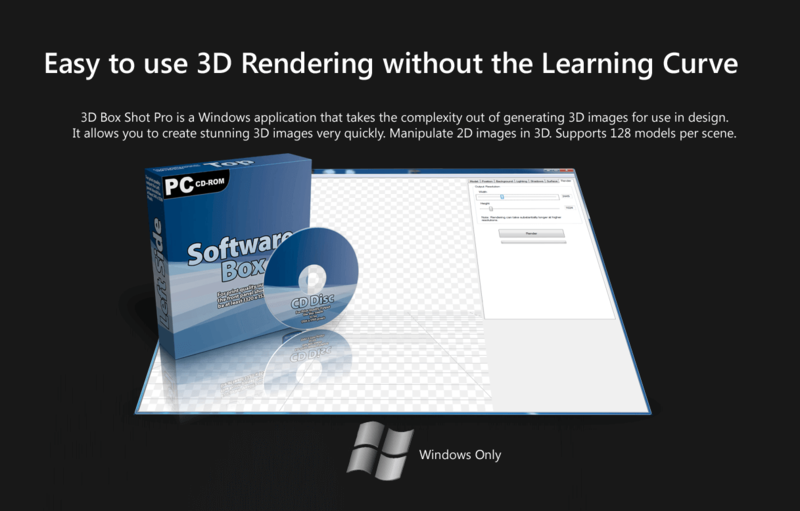 Simply create a perspective screenshot of the application in 3D Box Shot Pro and render a box shot or eBook cover to place on top of the perspective image. Simples.